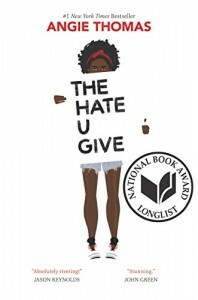 The National Coalition Against Censorship today urged the school district in Katy, Texas to obey its own challenge policy and restore Angie Thomas’ award-winning and critically-acclaimed novel The Hate U Give to school library shelves. The book is currently under review after it was challenged last month by a parent who complained of “inappropriate language,” the district’s policy says it should remain available during the review process. The Texas Library Association’s Intellectual Freedom Committee solidly stands by the Library Bill of Rights and the Freedom to Read statement. The professional librarians at Katy ISD follow procedures for obtaining materials, then the school board and administration must follow the stated policies and procedures for any reconsideration of materials. Katy ISD’s policy on Challenged Resources clearly states that “access to a challenged resource shall not be restricted during the reconsideration process.” One individual, Superintendent Hindt, apparently believes that the book is “pervasively vulgar”–but that is why a committee review process exists for more than one individual to determine if its pedagogical value outweighs any concerns about profanity. We hope to see the book restored to shelves very soon!